Doodle is a survey software that allows users to schedule meetings using a poll system where they can create a tabular display of possible dates and time slots. The polls can be controlled by just one user or by a team. We compiled Doodle user reviews from our website and around the web and determined that it has generally positive ratings. We also shared its available pricing options. Users who gave Doodle a positive review said that the app makes scheduling easy and more efficient than sending out emails or text messages to every participant. They also appreciate that the poll can be synchronized with their Google calendars, enabling them to be updated every time someone picks a preferred schedule. Users who gave Doodle a negative review said that it does not allow them to change the time or the date once the poll has been sent out to everyone. Some also mentioned that they find it inconvenient when the options are not quickly visible in one page, where they still have to scroll sidewards to be able to see the full details. One user who gave Doodle a positive review on GetApp said that it is very user-friendly and intuitive. He liked that participants do not need to create an account to choose their preferences. He also mentioned that administrators have the ability to allow respondents to answer anonymously to protect their privacy. 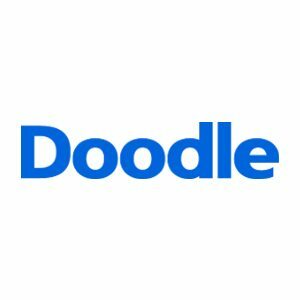 One user who left a review of Doodle on G2 Crowd said that there is no plugin that could force participants to enter their responses before a deadline. She also mentioned that the software disables any edits to the times and dates once the table of choices is sent out. All plans offered come with an unlimited number of polls. Only poll creators can be considered premium users. Those subscribed to the free plan can access only the easy scheduling and calendar syncing features. For more than 250 users, contact the support team. What does it mean to be a Premium user? Premium users are poll creators. The plans differ depending on the number of people who will be allowed to create a poll. All packages offer an unlimited number of polls for an unlimited period. Can I try the Private and Business plans before I subscribe? Yes. You can access all of their features for free for 14 days. You will not be required to enter credit card details. 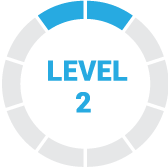 Once the free trial period expires and you have not upgraded your account, it will automatically revert to the free plan. What modes of payment does Doodle accept? Premium Doodle subscriptions can be paid either through PayPal or credit card. Doodle accepts Visa and Mastercard payments. Note that this is a one-time payment only. This video provides an overall background on what Doodle can do to help businesses improve their customer relationships and increase their sales. Not sure if Doodle is the right fit for you? Read our reviews of all top survey software providers or check out one of these three Doodle competitors. I used Doodle weekly during the last year, it was great to get organized with my team and let them know about a weekly practice group. It helped me keep in touch with the schedule, location and dates. I am very dependent on the application to facilitate the organization of my practice group. One of the best features is the notifications I receive when someone completes the doodle survey. I manage several calendars and this tool helps me to fit the dates of the work to gather groups of 15 people or more. I have not found any problem with the use of this product so far. I really enjoy using this tool to help organize meetings. There is no doubt that it is a program whose processes in different categories have been fast, unlike others that we have used before and that also has an interface that is just as fast. We have not had to deal with any problem, at least we have found a program that does not have any type of disadvantage that makes it difficult to use. This application we like for many reasons, especially because after having it we did not think to think what this question leads to answer. It is a highly recommended program. I love how this program helps me to organize events and keep everyone on track! I’ve never had an issue before that! The company is very clear in their expectations – but I wish I would have known about the optoin to add an image to the Doodle polls earlier – it would have come in handy! If something we like about Doodle is that we can make use of drag and drop things where we want, which makes our work fun and easy to do. We would like that the themes that it brings are more aesthetic and that they have much more modern or less repetitive designs, currently the ones they have are very striking and well made, but we suggest variety. Not being able to count on topics that fit the aesthetic we need for our company is the only thing we did not know and that we would have liked to know but this is not a complaint but a suggestion.